Our Videography Workshops are conducted by professional videographers with over 10 years of industry experience. Novice, Intermediate, Advanced Videography Courses by WolFang Digital. Master your video camera or DSLR. Explore accessories like large sensor cameras, lenses, sliders, audio recorders, microphones, LED lighting. Learn how to set-up for an interview shoot. Make use of studio as well as natural light to add polish to your scenes. With our guidance, you can take your videography career to the next level. Maximize your camera and your accessories to shoot better and faster. 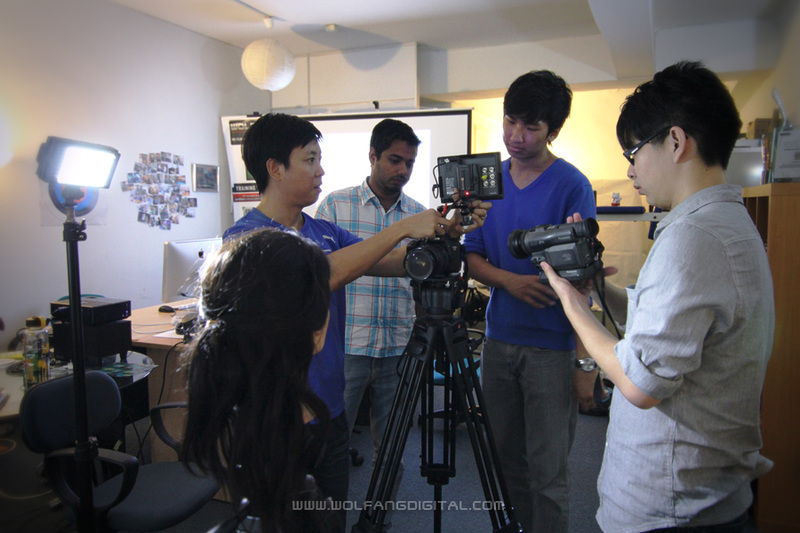 Videography classes from Novice, Intermdiate to Advanced level. Sign up now to shoot like a pro. Training is conducted by Baron. View his qualifications and credentials here. Certificates of Completion are awarded to participants who pass the exam (applicable to Novice and Intermediate levels only). Recommended for: Hobbyists, enthusiasts, college/university students, school leavers. Recommended for: Beginner videographers, Amateurs. Recommended for: Professional videographers who have some years of shooting experience.